This summer is full of thrill. Don’t miss the column Giallo e Nero of the week and be ready for a month full of hot cases. 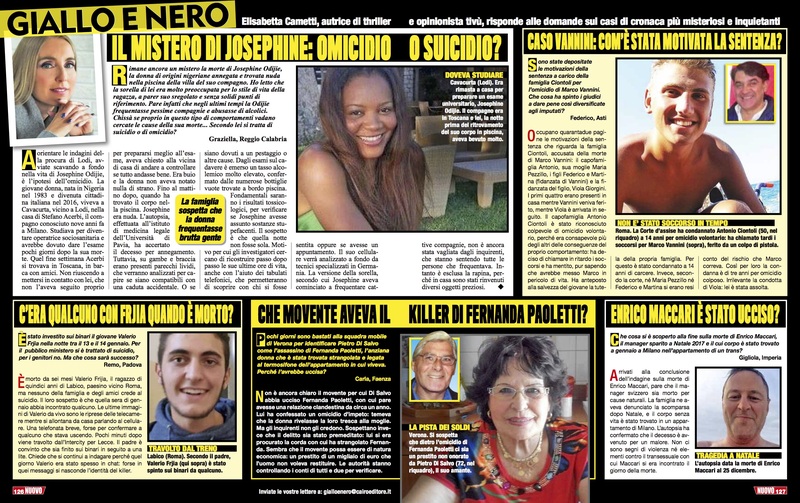 In the issue of 12/07/2018 the weekly magazine Nuovo (Cairo Editore) and Elisabetta Cametti analyze some of the most controversial criminal cases and answer readers’ questions.